Adhesive Security Products (ASP) is a specialist company who have been involved in the development and manufacture of security laminating systems for more than 30 years. Over 90 countries have incorporated our laminates into their National Documents over this period. 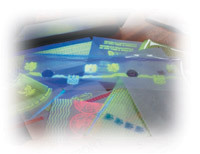 ASP offers a comprehensive range of security films based on the latest adhesive, ink and optical technology which are designed to effectively protect vital information in documents such as ID cards, Passports, Driving Licences, Payment Books, and many other identity and high value security documents. ASP uses the most up-to-date quality printing and holographic techniques and have formulated high performance adhesive systems which produce a strong bond between the document surface and the security laminate. High performance Cold and Hot seal laminates can be presented in a range of formats - rolls, sheets, die cuts, labels, pouches - even on special carriers that aid laser infilling of variable data. These films create a strong bond with the document surface to provide a durable and protective security barrier. 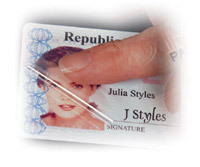 A range of security verification and tamper evident features can be added to these laminates enabling us to tailor protection to combat each customers individual counterfeiting and fraudulent alteration problem. Special ink systems can be applied to specific areas of the base films that can cause the visible and invisible ultra violet fluorescing inks to transfer away from the laminate if attempts are made to fraudulently alter the documents. Some of our special inks are designed to dissolve and disrupt and can readily indicate if the document has been tampered with or attacked using heat / petrol / solvents etc. All of these tamper evident inks can be registered on the laminate in order to protect specific details on the base document. 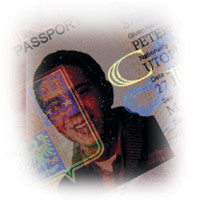 Visible and invisible UV fluorescent features as well as sophisticated OVD/ holographic designs may be added to the laminates to provide easy verification that the document is genuine and make it difficult for the original document to be colour copied and duplicated without detection. 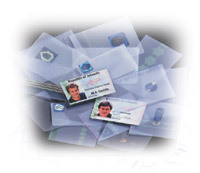 Cold and hot seal laminates incorporating special printings and OVD protection can be provided in roll or pouch format for use in centralised or decentralised identity card issue systems. 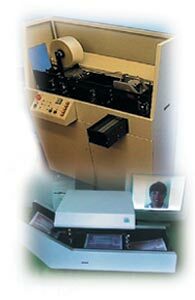 New optically variable ultra thin laminate can be supplied on special carriers to enable the laser infilling of the variable data and digitised facial image directly onto the adhesive surface of the foil. 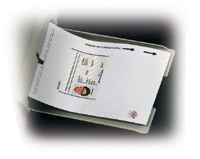 Once laminated to the document, the special carrier is removed and the thin adhesive and lacquer layer incorporating the OVD and data is left securely sealed to the paper surface. This makes it virtually impossible to alter the information without detection - a great step forward in document security. ASP can provide a range of durable laminating equipment from desktop passport and ID laminators right through to Centralised ID card laminating lines and Application Form Scanners. Levington Park, Bridge Road, Levington, Ipswich, Suffolk, IP10 0JE, England.